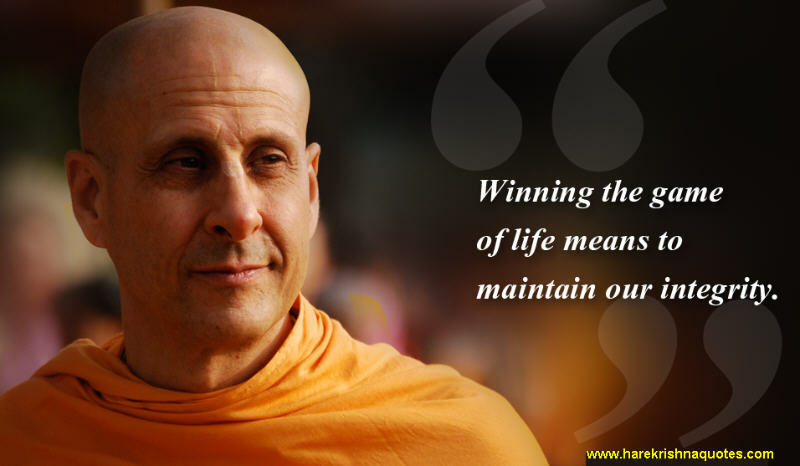 Winning the game of life means to maintain our integrity. Integrity means to be honest, to be truthful and to make great sacrifices for the welfare of others. If you compromise your integrity for the cheap thrill of this world, you are going to suffer miserably. Integrity is to maintain our ideals and our values even in the face of temptation and fear.